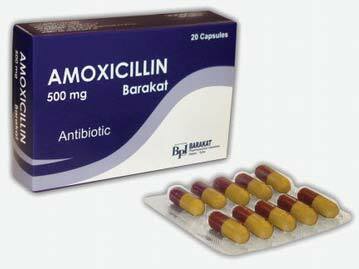 The Amoxicillin 500mg Capsules are widely used as an antibiotic against various kinds of bacterial infections. We procure the Amoxicillin Capsules from reliable vendors who use formulate the capsules accordingly. Our company is a distinguished Exporter & Supplier of Amoxicillin 500mg Capsules from West Bengal, India and known for our fair pricing policy. Amoxicillin is a penicillin antibiotic that fights bacteria. Amoxicillin is used to treat many different types of infection caused by bacteria, such as tonsillitis, bronchitis, pneumonia, gonorrhea, and infections of the ear, nose, throat, skin, or urinary tract.